The Morgridge Institute uses mechanisms unique to a private institute to strengthen UW-Madison biomedical research. Thanks to the foresight of the Wisconsin Alumni Research Foundation Board of Trustees, and John and Tashia Morgridge, the Institute is helping UW-Madison recruit top scientific talent, build powerful research collaborations and provide shared resources to keep UW-Madison science at the leading edge. Metabolism has become a prime subject for biologists, given its importance to human development, aging and disease. It’s becoming a unified research force in Madison through the Morgridge Metabolism Initiative, creating community among 400-plus UW-Madison scientists. As host of weekly seminars in regenerative medicine, Morgridge provides a way for hundreds of campus stem cell scientists to follow new advances and spur collaboration. Morgridge expertise in bioinformatics, high-throughput computing and bioethics helped UW-Madison land a $10 million NIH center on big data and health. Two NIH projects totaling more than $17 million, led by Morgridge Regenerative Biology Director James Thomson, have brought great benefits to UW-Madison partners. These projects include efforts to predict neural toxicity of drugs and chemicals; and develop stem cell-derived arteries to treat heart disease. These projects wouldn’t have moved forward without Thomson’s leadership, and more than half of all funding goes directly to campus collaborators. Morgridge is working to spark a quantum leap in medical imaging. The multi-scale imaging initiative — bringing together scientists working from the molecular to the whole-body scale — promises to detect, define and fight disease in ways no single technology can do alone. Morgridge seed funding on an accelerated time line helps make projects competitive for extramural funding. In 2012, seed money paved the way for a $25 million Department of Homeland Security project to improve cybersecurity. Morgridge and UW-Madison hiring alliances have brought groundbreaking scientists to campus during a time of budget and retention challenges. Preemptive retention efforts played a major role in keeping stem cell research leader James Thomson and metabolism pioneer Dave Pagliarini in the Madison community. Talent additions include computational experts Ming Yuan (from Georgia Tech) and Anthony Gitter (from MIT), microscopy innovator Jan Huisken (from Max Planck in Germany), cancer researcher Melissa Skala (from Vanderbilt) and stem cell pioneer Phil Newmark (from the University of Illinois). In addition, Morgridge was instrumental in attracting medical engineering research specialist Andreas Velten (from MIT), who joined the faculty of Biostatistics and Medical Informatics in 2016. These scholars would have been unlikely to leave their prior institutions without the highly attractive joint appointments. Morgridge is partnering with the Department of Biomedical Engineering to jointly run the Morgridge Fabrication Lab starting in 2017. The partnership will greatly expand student opportunities to use the Fab Lab and its expert staff to design, prototype and commercialize medical ideas. A ‘start-up culture’ is thriving among medical engineering students. Three companies — OnLume, Linectra, and Xemex — have launched from students involved in Morgridge research in the past two years. All were ‘diligent dozen’ finalists in the Governor’s Business Plan competition. These successes follow on the heels of SHINE Medical, a Morgridge-nurtured spin-off poised to become the nation’s top provider of isotopes used in life-saving medical procedures. Morgridge added a new postdoctoral program to the Madison landscape. 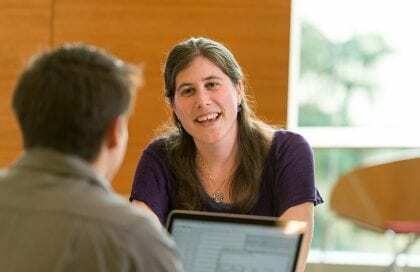 The Morgridge Postdoctoral Fellows program specifically supports cross-disciplinary thinkers who are mentored by two scientists, one from UW-Madison and one from Morgridge. Through the BerbeeWalsh Prototype Pathway, Medical School clinicians join forces with student engineers to solve medical technology challenges on the front lines of patient care. Among the first ideas is a promising organ transplant technology being patented by WARF. A 2015 Morgridge investment in mass spectrometry is reaping rewards in the quest to defeat Alzheimer’s disease. The technology enabled a successful pilot study that led to two multi-million dollar projects to identify biochemical markers that reveal the earliest signs of the disease. The Research Ethics Consultation Service (RECS) gives the campus community timely support on ethical challenges across the research spectrum. The free service provides ‘curbside consultations’ on ethical gray areas and more in-depth assistance on more difficult issues. Morgridge is making smart investments in next-generation scientific equipment vital to a wide range of UW-Madison research. They include indispensable tools for structural and cellular biology such as cryo-electron microscopy, microfluidics, metabolomics and mass spectrometry. The high-throughput computing team teaches hundreds of researchers annually how to use computing power to answer questions once thought unapproachable by science. Morgridge has helped make UW-Madison an epicenter of scientific celebration through the Wisconsin Science Festival, which after six years averages 40,000 annual participants statewide. More than 500,000 people came to the Discovery building in its first five years for specific programmatic activities, including events, outreach programs and tours. More than 60 new activities reflecting UW-Madison science have been developed and implemented. Discovery Outreach serves diverse audiences in our community. Specialized weekly programs are held in the building with students from the Boys and Girls Club of Dane County and the Talented and Gifted programs of Madison schools. High school students from rural Wisconsin districts participate in a unique stem cell science summer camp. Morgridge is an active partner in showcasing UW-Madison expertise. The “Crossroads of Ideas” lecture series and “Blue Sky Science” video series advance the Wisconsin Idea by showcasing UW-Madison expertise to the community.